Amazon Japan was raided Thursday by business watchdog agency the Japan Fair Trade Commission on suspicions of anti-competitive practices. Multiple outlets—citing local subscription news service Kyodo—say the raid was a response to Amazon Japan allegedly demanding a “collaboration fee” from suppliers, as well as asking those suppliers to incur some of the financial burden when their products were offered at a discount on Amazon. A source who spoke to Gizmodo in late January claimed that fees for professional sellers, in the United States at least, are determined through a combination of factors such as unit price and how much warehousing space they occupy. The source said they averaged fees around 15 percent. It’s unclear if fee structures for sellers differ in Japan, and we’ve reached out to Amazon and the JFTC for further details. The ecommerce giant was previously raided by the JFCT in 2016, which opened a year-long probe into Amazon’s practices. The probe dissolved when Amazon agreed to stop demanding that retailers list their items at the same or lower prices than what they were being sold for on other websites. US businesses in the retail and healthcare sectors are all too familiar with Amazon’s ability to steamroll companies unfortunate enough to operate in the same industry. 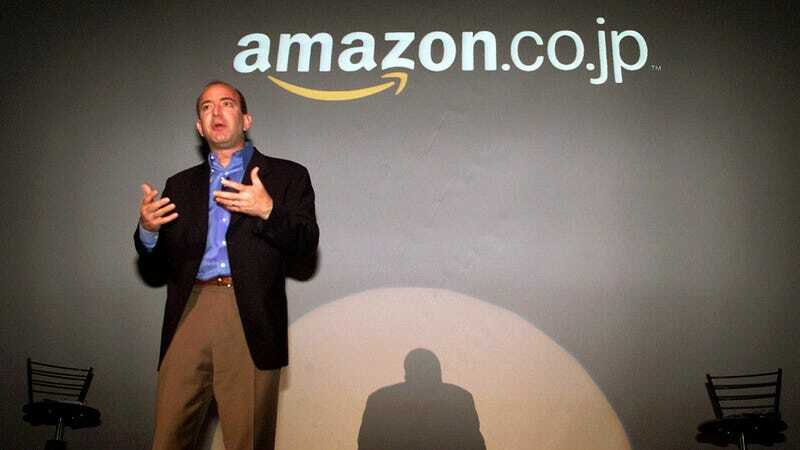 According to the Financial Times, major firms Rakuten and Start Today—Bezos’s ecommerce competitors in Amazon’s third largest market—have seen their shares tumble 25 percent in the past six months. If you have any information on Amazon or its business practices, send us a tip.